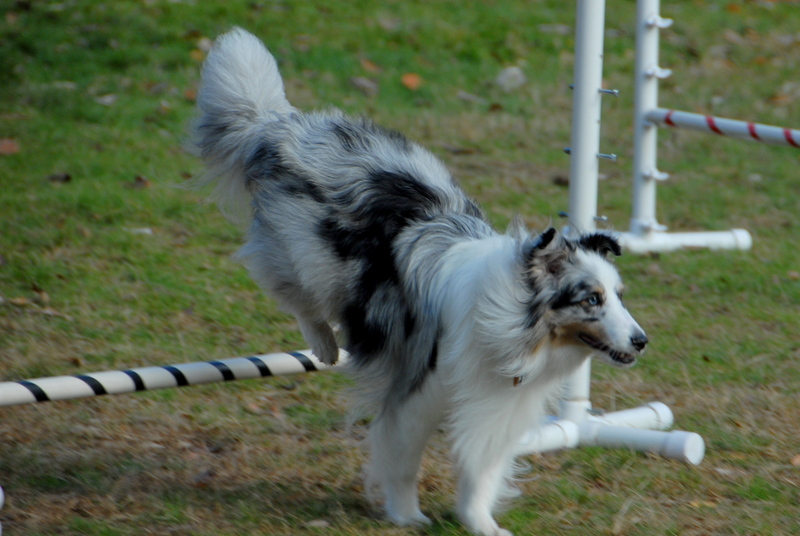 Rags is starting her second agility class of her life closely on the heals on the beginners class she took in the fall. Her new class is also being taught by Tom who taught her first class. Due to the weather the class is being held in St. Huberts indoor ring in Madison, NJ. While being indoors keeps us warm and dry, it precludes me from taking any pictures so video are all I will get from this class, but it is better than nothing. In week one we were just getting used to the indoor class, the tight quarters and the equipment. We started with some tunnel practice which Rags still had problems with especially when it came to entries at an angle. I need to get her more enthusiastic about going into a tunnel like she get going on a contact obstacle. We then did figure-8s over jumps and that she did well. We closed with plank work and she is okay at that also. Does a nice target. A cute thing about this week was the fact that the agility training ring has a moving wall that can separate the room into 2 and it was partially unfolded to the point that it made you feel like you were on the Dating Game. Both sides were not able to see the dogs waiting on the other side of the wall while each side could watch what was going on in the middle of the ring. It was a weird perspective. 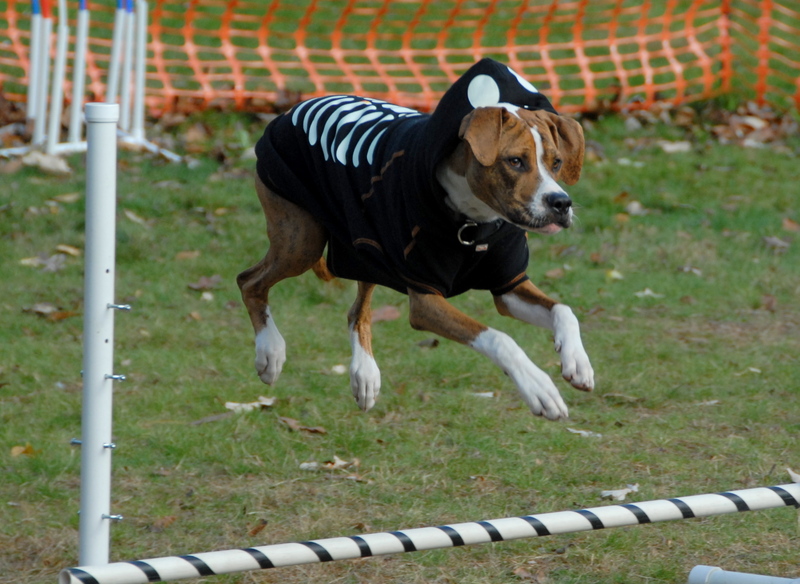 This 8-week class will hopefully get Rags prepared to begin to compete in 2011’s season of agility competitions. I think Rags will be ready to at least enter these competitions but probably not ready to qualify in any event. Time will tell with it, but unless we do some more practice, Rags ain’t gonna do squat, but squat. 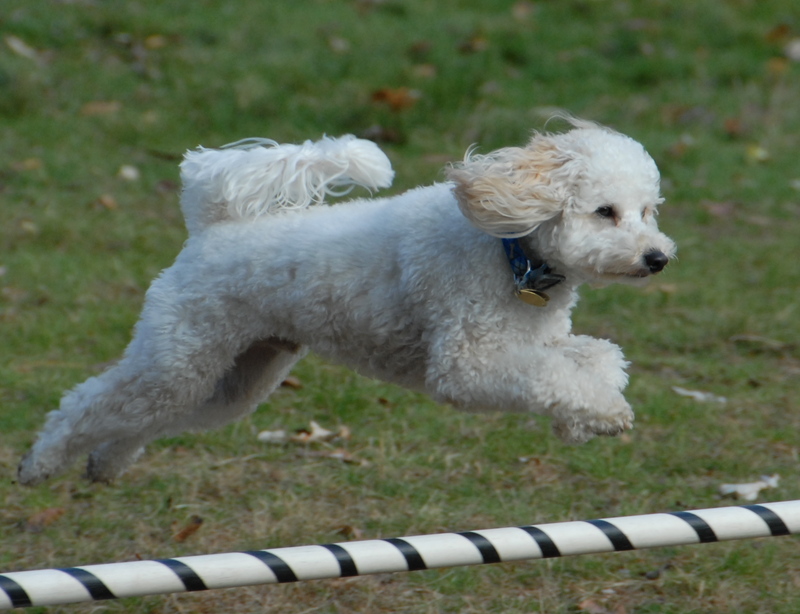 The class is a 4-week beginners agility class at K9 Campus in Randolph as they classify it. This is our first class at this place so it’s a good short series to see how we like it. 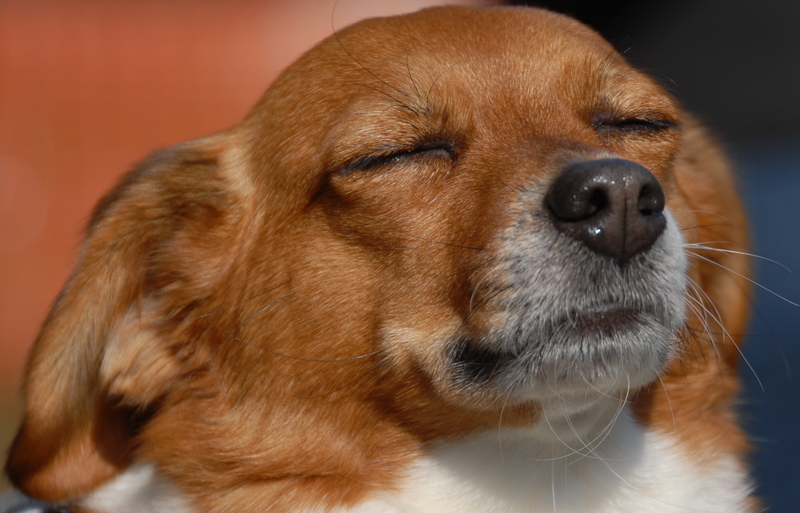 Linda is our teacher and we have 4 dogs in this class. 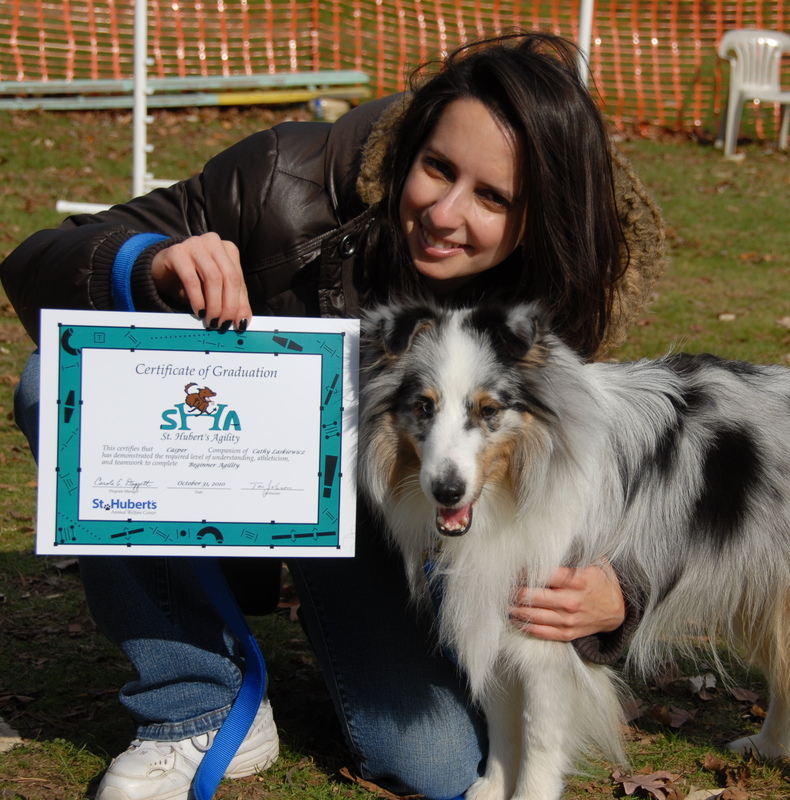 You would think that Scraps would be beyond advanced beginners, but he had an evaluation last week with Linda and we decided to check out this class. We start with sequencing because the little Shetland is noise sensitive as is Scraps. These are little handling exercises. Starting with a sequence involving a series of undulating crosses over jumps and the A-frame. On our first run wen learned a lot about how to use and not use our arms to direct and more importantly, not using our arms and fingers but relying on our body motion and lines through the course. 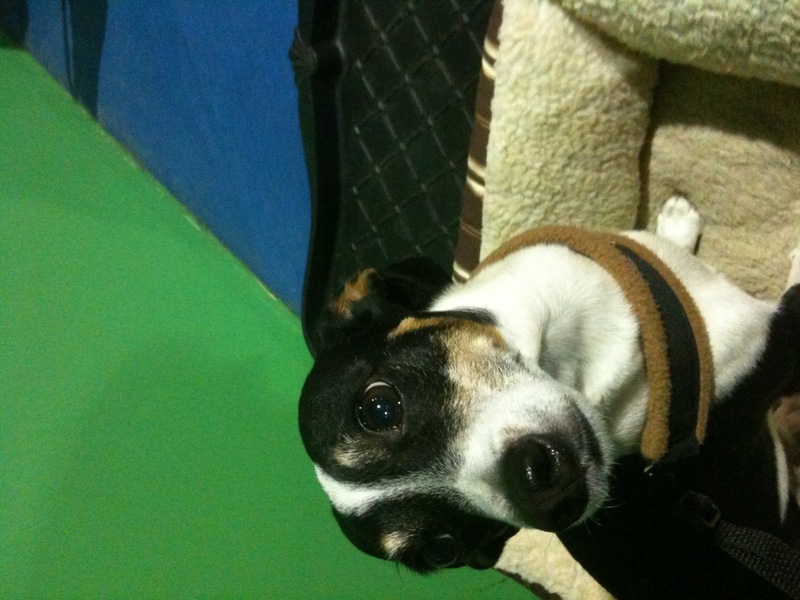 Linda also suggests not using commands unless needed, it is all about body position. The first run was also a mess because Scraps’ nose was too the ground seeking out treats. The second run showed marked improvement. First of all, Scraps was focused and didn’t sniff around the course so when they ran together it was quick and smooth. Teaching the word and concept of switch is very useful. 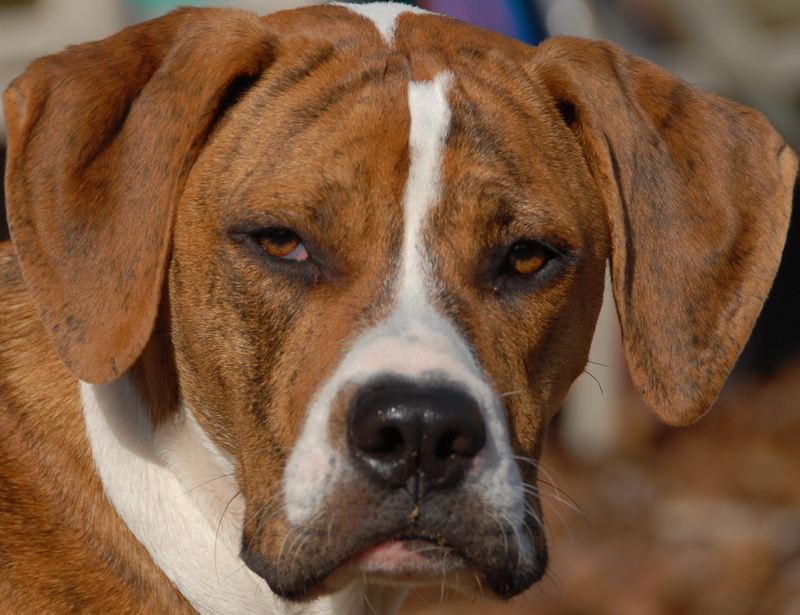 Additionally, we should also only use the arms to push the dog out to an obstacle, and use body position to get him through the obstacles which are close to you. Next the dogs worked at stations addressing issues they have. Our’s was teeter and getting used to the noise. Scraps for the most part ate treats as another dog played on the teeter and made noise with it. He eventually began playing with the end of the teeter slowly getting used to making it make noise. There’s hope he may learn the teeter through this class. As a first class it was very promising as we are learning new techniques that should make everything easier, faster and more fun. As is with everything else, time will tell with it, but week 1 was a good start. We will have next week off due to it being Black Friday and then run 3 Fridays in a row in December.